Karl Lagerfeld’s genius lay in updating classic luxury labels with street style influences. 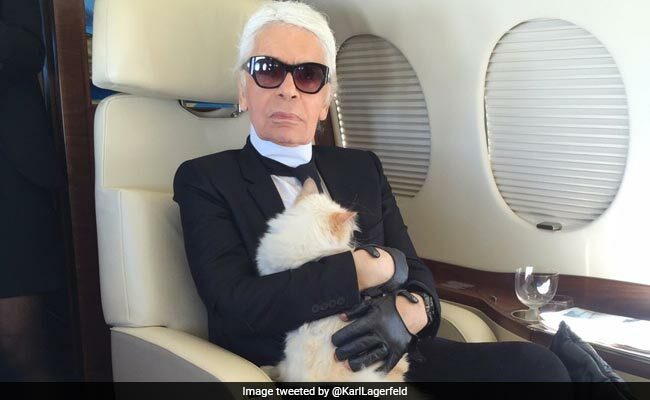 They called him the “Kaiser”, and for decades Karl Lagerfeld, who has died aged 85, reigned imperially over the fashion world. While other designers came to be associated with a particular look, Lagerfeld’s greatest invention was “Karl”. He put himself at the heart not just of his own label, but also of Chanel and Fendi — the Italian house he headed for more than half a century. His waspish wit — “Anyone who wears jogging pants has lost control of their life” — added another layer of fascination and ensured he hogged the headlines even when his clothes did not. “Karl doesn’t so much design as reign,” one fashion insider remarked. It was the beginning of a friendship that would later turn to romantic and professional rivalry, with Lagerfeld once dismissing the great designer as “very provincial, very middle-of-the-road French, very pied-noir”. He took its trademark quilted handbags, tweeds, and cardigan jackets and exaggerated them into something more gaudy and refined at the same time, while still true to the spirit of the brand’s founder Gabrielle “Coco” Chanel. Along the way, Lagerfeld helped create the “supermodel”, elevating the likes of Ines de la Fressange, Claudia Schiffer, Linda Evangelista, and Stella Tennant into household names. He even helped popularise the yellow hi-vis vest by posing in one for an official French safety campaign — “It’s ugly, it goes with nothing, but it could save your life” — only for it to become the uniform of recent anti-government protests. But as fast as he made money, Lagerfeld spent it, throwing millions “out of the window”, as he described it, for art, furniture, and homes in which to display his treasures. He once described himself as a “cultural bulimic”. Despite being at the centre of fashion’s social whirl, Lagerfeld was always a solitary figure. His only long-standing relationship was with the philandering French aristocrat Jacques de Bascher, who cheated on him with Saint Laurent. “Karl’s multilingual loquacity and his constant sociability belie a solitary nature and a visceral isolation from others,” his biographer Alicia Drake wrote. After de Bascher died of an AIDS-related illness in 1989, Lagerfeld, who said repeatedly that “I have no human feelings”, piled on the pounds and lavished gifts on several young men with whom he became infatuated, she said. But he later lost all the weight and more — 92 pounds (42 kilos), he said — so he could “squeeze into Hedi Slimane’s suits”, and wrote a bestselling diet book. As the years went by, Lagerfeld assembled his own alternative jet-set “family” comprised of his male and female muses including US model Brad Kroenig, whose son Hudson — Lagerfeld’s godson — became a fixture of the Chanel catwalk. “I have a sister in America who I haven’t seen for 40 years. Her children never even send me a Christmas card,” Lagerfeld complained. Despite the company of his fashion family and the small coterie of male models known as “Karl’s Boys” who often accompanied him, Drake argued that Lagerfeld “is alone in a crowd. At the centre of this solitary soul is a denial of intimacy,” she added. It was an insight that Lagerfeld himself seemed to confirm when he said, “I live in a set, with the curtains of the stage closed with no audience. “I have nothing to say,” the designer declared in December 2018, scotching rumours he was writing his memoirs.